For its high durability, versatility and popularity – ceramic tile is considered as one of the best flooring materials in Pakistan. The biggest reason for this material to be chosen on the top priority is its high resistance to scratches, chipping and cracking. The basic composition of the ceramic tiles in Pakistan involves — mixing refined clay with a variety of natural sediments which may include ground shale, gypsum talc and gritty sand particles. Having a hard surface, the tiles are considered ideal for the flooring of high traffic area in a house. For the commercial buildings, plazas and shopping malls, these are even preferred the most because they can bear high traffic loads at a time and suppose if any tile is broken, you can easily replace it with a new one. The price of ceramic tiles in Pakistan varies greatly depending on their types and quality. The tiles are categorized into four basic types depending upon their finishing and are easily available at different manufacturers like Pak clay industry, Karam Ceramics Limited and at other renowned factories in Pakistan. Other than serving the functionality purpose, the ceramic tiles provide you with a plethora of designs for your floor. In factories, these can be prepared and printed to imitate a number of designs and patterns in a variety of colors. You can use these tiles as an alternative of natural hardwood floor. By consulting a renowned architect in Pakistan like AmerAdan®, you can get to know about the different types flooring options and can even get suggestion about the one which best suits your demands and budget. 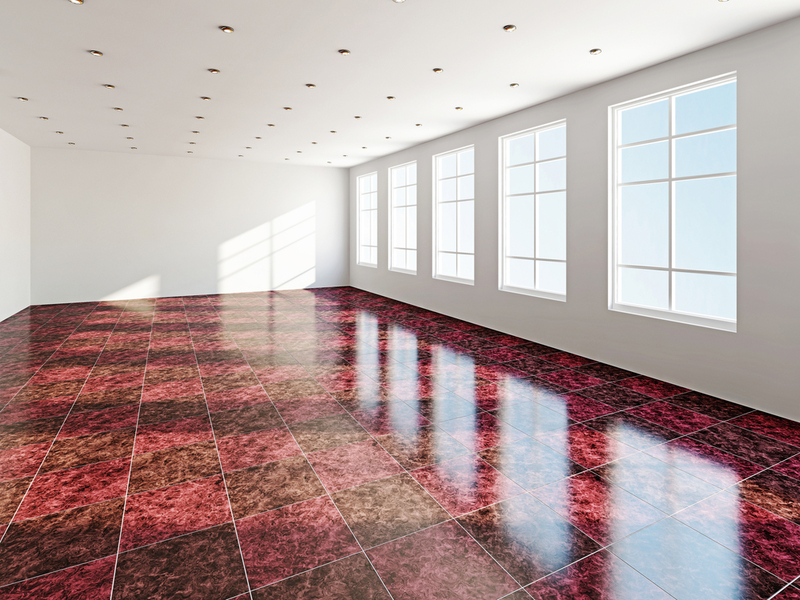 If you want to create a luxurious ambiance in your house, glazed ceramic flooring is the best option as its colorful glass surface coating gives it a shiny look. Moreover, its waterproof surface resists the water penetrations as well as staining to a greater extent. Four their strong composition and high resistance, the tiles can be easily installed anywhere in your house. However, before choosing any kind of ceramic tiles, you need considering the usage of the area where you want to install these. For high traffic area, the ceramic tiles are best to be used. For the areas like bathrooms and kitchens, where the water seepage concerns are high, using glazed ceramic tiles with colored surface is the right decision. If you cannot afford the glazed tiles; purchase the unglazed and quarry types and get them protected with a sealing of commercial water barrier sealing agent. As compared to various other types of flooring, ceramic tiles are much easier to install and maintain. The durable and plane surface of the tile makes them resistant to stains and you can easily clean them up by using a mop. For instance, if a tile breaks form anywhere or it gets damaged with grout lines, you can replace it easily with a new tile. Before choosing any of the ceramic tile dealers in Pakistan, you should thoroughly search the market in your area, as it will help you get an idea of the average price so that you may not be overcharged by anyone. Moreover, by taking a professional with you, you can have a better idea whether or not the material you are going to choose, is of No.1 quality. If you have hired a modern architect in Lahore, he will do the work on your part; however, you need to tell him about your choice as well as your budget limit.